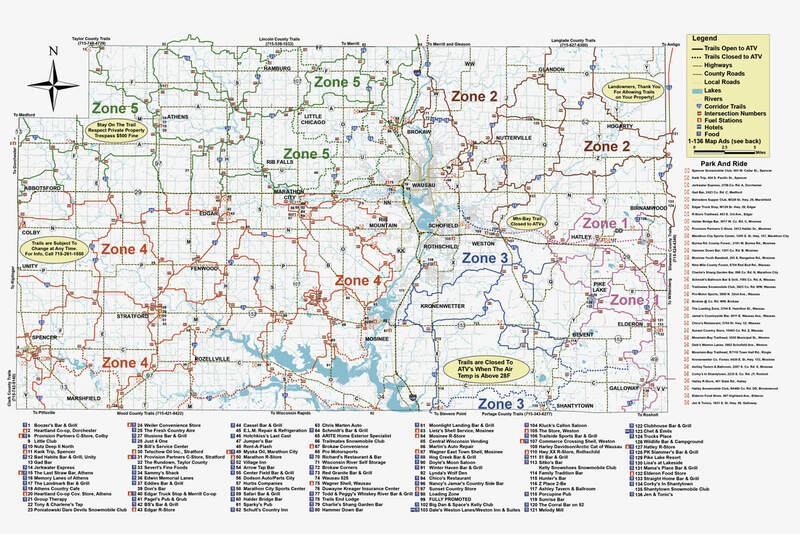 The latest Marathon County Snowmobile Trail Map is posted above, FREE for download. You'll also find more than 30 Park & Ride snowmobile locations on the trail map. In-season trail information can change frequently so be sure to see additional web links over on our Trails & Conditions page. ATV-designated trails can also be found on the map as listed (see map legend.) NOTICE: Do not rely on any third party trail mapping apps for any portion of Marathon County as they do not contain valid/current trail data and often route riders into restricted or closed riding areas and/or areas where trails may no longer currently exist. We encourage you to recycle, discard and/or delete all previous versions of trail maps you may have and update any links, bookmarks and/or favorites to the latest information as found on this page. 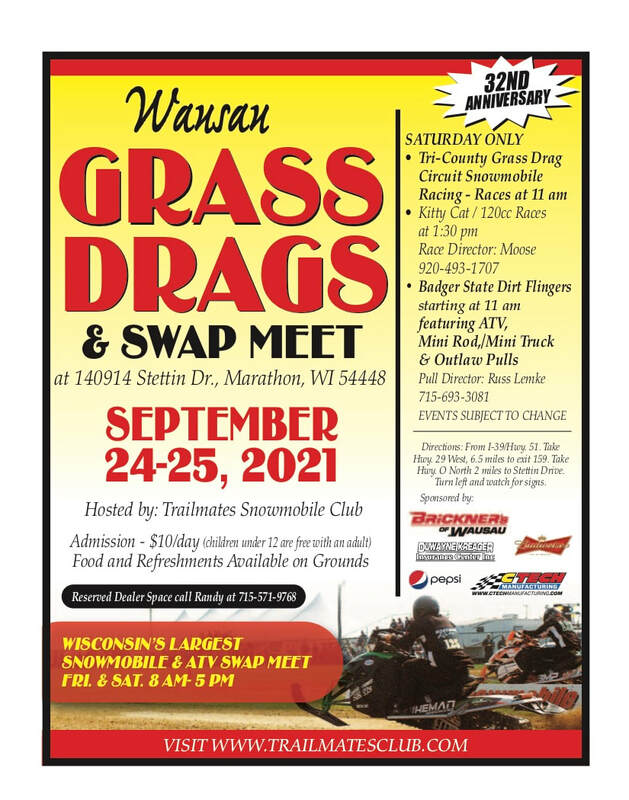 Printed versions of the latest Marathon County, WI snowmobile trail maps are available at the Marathon County Parks, Recreation & Forestry Department Administrative Office and also Wisconsin DNR Service Center as listed below. Various establishments along area snowmobile trail routes have the current Marathon County Snowmobile Trail Map available too; Just ask. Your donations for maps helps cover printing costs. Thank You for your generous support. We hope you enjoy your snowmobiling adventures in Central Wisconsin.